When it comes to armadillo removal, Orlando residents know they can count on the wildlife experts at Critter Control. As a family owned and operated business that has been trapping animals for more than 20 years, we can get the job done quickly and efficiently on our very first visit. If you have an armadillo in your yard, it’s best to call an expert. 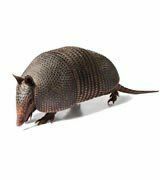 There are local ordinances that require the use of certain traps to handle these animals, and armadillos can be a lightning rod for disease. Although rare, armadillos are one of the few animals that carry the bacteria that cause Hansen’s Disease (leprosy). Thus, if you see an armadillo, it’s best to stay away and call one of our certified wildlife specialists immediately. We’re the leaders in armadillo removal in Orlando. In fact, we’re so confident you’ll be happy with our services that we offer a three-year guarantee. This proactive commitment to our customers has landed us high ratings and prestigious service awards. We even offer 24-hour emergency service if you’re ever up against a wildlife problem that can’t wait. There’s no reason not to call, so contact us at 407.295.7194 to schedule your free home inspection.